Brands use Marketing to increase Sales, Revenue and to beat the competition. While this is a great strategy, a brand is only as good as its talent. Yes brands are in competition to get and keep customers; but they are also competing to get and keep great talent. In order for brands to grow, they need great talent in every function of the business. If these things listed above are in place, Brands are on the right track to building a great talent brand provided their product offerings are solid. Getting employees excited about coming to work each day will increase the talent pool by generating word of mouth. When people have something good they tell their friends. Beyond the offline word of mouth, Brands need to own their identity online by in-sourcing their online and offline assets. This starts with their own websites, digital properties and collateral used to sell their offerings. With talent branding, Brands are selling prospective employees on the idea of applying and wanting to work for their company in a particular role. This is similar to marketing their commercial offerings to potential customers. Brands will need to conduct Market Research to understand who their competitors are and where they stack up in the talent market. Compensation, Company Culture, intelligence from applicants. 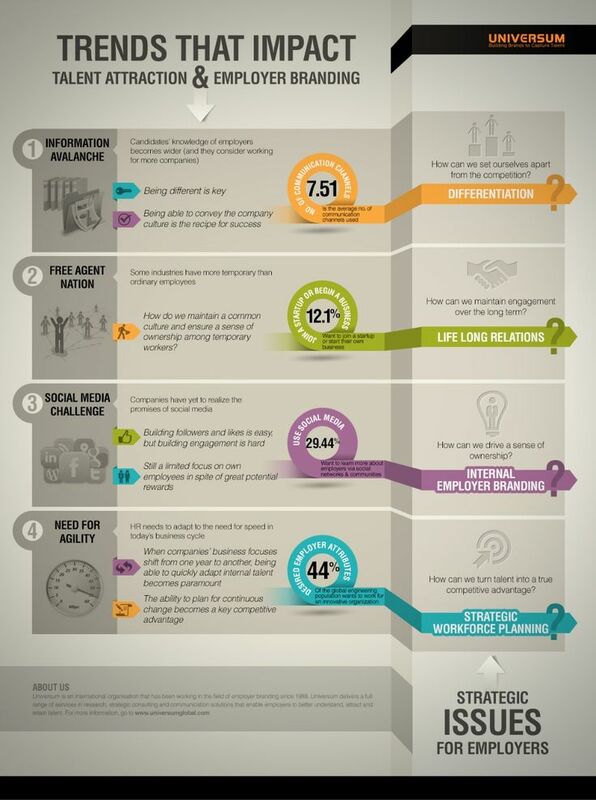 Information from this research can be used to develop a positioning strategy that can be applied to the talent brand. The function head, Marketing and HR need to collaborate to write job descriptions that convince applicants to apply, similar to copy-writing for commercial offerings. Providing candidates with a great recruiting experience is key; without this a Talent Brand will suffer. Encourage employees to share company content and jobs on LinkedIn. Also encourage employees for referrals with incentives for referrals that are hired. Brands that are not happy with the amounts of applications can post the jobs on LinkedIn and Indeed to widen the applicant pools. Niche site may work as well. This is how to use Marketing to build a great Talent Brand.